Home › Blog › Managed Hosting › The EndLayer Guide to Spam: How Do Spam Filters Work? Spam! We hate hearing about it, we hate getting it and we hate having to deal with it. What do you do when those pesky junk mail and comments start clogging up your corporate blog or inbox? (Well, call EndLayer, for starters – sites hosted on our servers get the royal anti-spam treatment, with aggressive security and filters.) 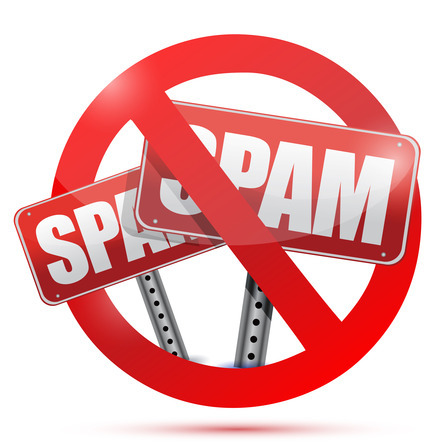 And don’t panic – spam may be annoying, but it’s really relatively easy to fight. Our upcoming four-part series, “The EndLayer Guide to Spam”, is dedicated to all things spammy. What is spam? Why do we get it, and how can we get rid of it? Question #1: How does a spam filter work? Here are the basics. The bad news? There’s a lot of spam out there. (Unsolicited, unwanted bulk messages account for about 80% of all emails.) The good news? A quality filter can capture these unwanted messages and block them or direct them to a junk folder. Filters identify spam in a number of different ways – via language, content, headers or other parameters. User-defined. This is the do-it-yourself filtering system available with most standard email services. You decide what types of messages are junk and what types should be organized in your inbox and other sub-folders. You “teach” the filter that email from certain senders or with certain characteristics is spam, and then the next time one of those emails comes in, the system files it correctly as junk. The more you teach the system, the smarter it gets. Header. Header emails are more sophisticated, and also more automatic. They analyze the headers of emails, looking for suspicious issues with the “relay chain” (the information trail left by the mail servers that delivered the message). This is “invisible” information that isn’t displayed upfront with the usual sender, subject and recipient fields. Spammers include false information trails in these headers to disguise their sources and keep people from replying. When a header filter spots a forged header, it files the message as spam. The longer we live, the smarter we get. Now we have content filters – clever programs that can analyze the actual content of messages and (usually) determine whether they’re spam. Bayesian Analysis. Also known as a rule-based filter, the Bayesian system “reads” emails and scans them for words or phrases associated with spam. The filter uses a mathematical formula to analyze new email contents and compare them with other messages in the inbox and folders, both legitimate mail and spam. The longer you use a Bayesian filter, the smarter it gets, and the more accurately it’s able to diagnose spam. EndLayer’s spam fighting techniques combine all these types of filters – and more. Our goal is to keep spam far, far away from your wesite and email inboxes, and we have IT staff monitoring our security features round the clock. There’s no reason to be scared of spam with EndLayer on the job! Stay tuned for the next article in “The EndLayer Guide to Spam”: Tips and Tricks for Winning the Spam War, Part 1.